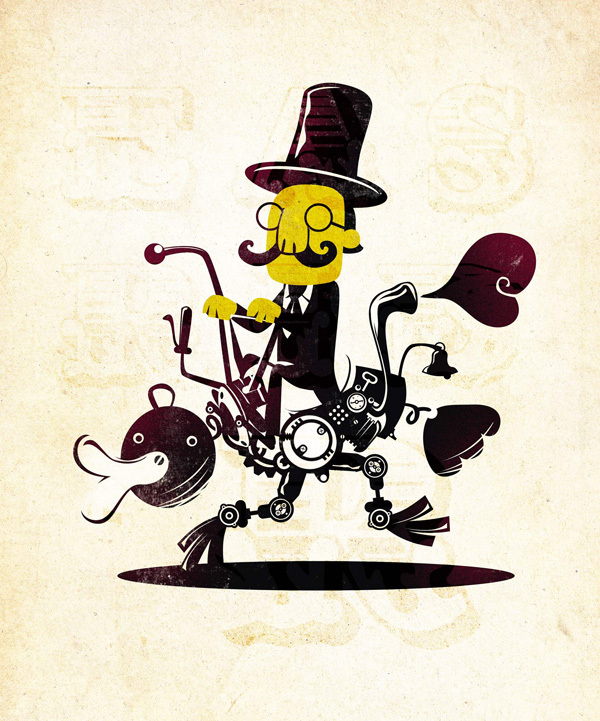 An elegant Yellow Gentleman riding his mechanical bird-bike. This is a illustration created for self-promotion. In some countries in Africa people ride on the back of ostriches, in the same way as horses. It seems a cool and interesting way to go around and inspired me to create this image. As carriages gave way to modern automobiles, the ostriches could be replaced by those “bird-bikes”…. More images at my web site.